Appeared in nine games, including the first seven games of the season…also saw action in 22-21 win vs. No. 22 Boston College and season finale vs. No. 13 Florida…contributed primarily in a special teams role. Appeared in 12 games, assisting on three tackles…made his first career start at Wake Forest…had a career-high two tackles against the Demon Deacons and one at Florida, contributing to FSU’s fifth straight victory over the Gators. Appeared in 10 games, mostly on special teams…played in the first nine games of the season and the Orange Bowl against Michigan…recorded two tackles on the year, one each against Ole Miss and at NC State. Athletic prospect with the ability to play as a linebacker or a rush end…consensus four-star outside linebacker who enrolled in January after leading Mallard Creek to a third consecutive North Carolina Class 4A State Championship in 2015…totaled 130 tackles, 14 sacks, 21 tackles for loss, an interception and 12 quarterback hurries as a senior in 2015…named 2015 Defensive Player of the Year by the Charlotte Observer…played in the U.S. Army All-American Bowl in January (2016)…had three tackles, a TFL, a forced fumble and pass breakup for Team East…named to the Associated Press First Team All-State team in 2014 and 2015…ranked among the nation’s Top 20 at his position by ESPN (No. 19), Rivals (No. 10) and 247Sports (No. 9)…tabbed North Carolina’s No. 3 prospect and the nation’s No. 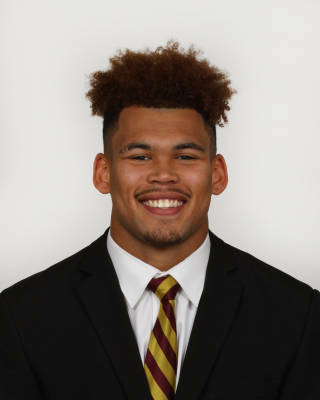 95 player overall by 247Sports…chose FSU over several offers, including Alabama, Tennessee and North Carolina…born on December 3, 1997…majoring in management.